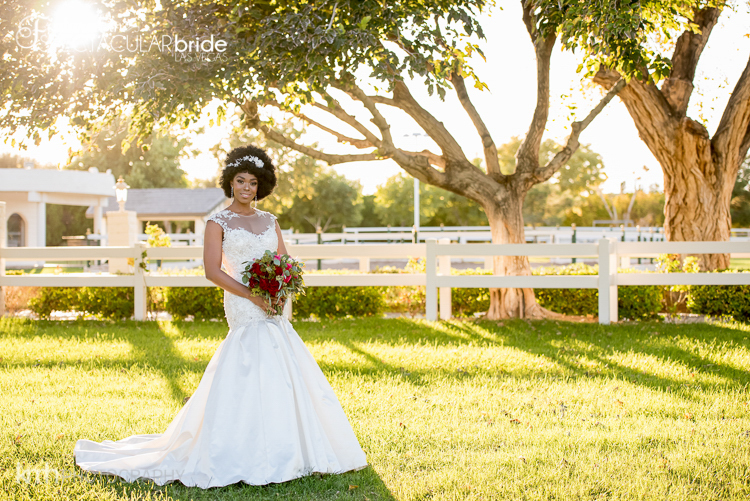 When you blend a romantic bridal style with a picture-perfect Las Vegas backdrop, and an incredible photographer, you get the most gorgeous wedding portraits! Featured in the spring edition of Spectacular Bride Magazine, KMH Photography captured these sensational images at Casa de Shenandoah. Our beautiful bride, Jessica features a stunning Maggie Sottero trumpet gown with sophisticated lace detail, an illusion neckline and a flowing train from Brilliant Bridal. Paired with a delicate white floral hairpiece, timeless makeup by Makeup in the 702 and a whimsical bouquet created by Enchanted Florist, this wedding style is any bride’s dream-come-true. We hope you enjoy these gorgeous photos as well as a behind-the-scenes video of the photo shoot by Memory Lane!